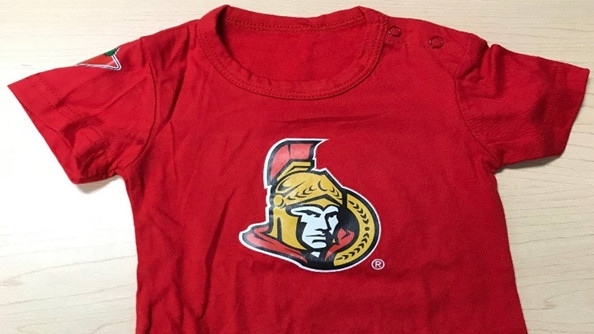 Health Canada has issued a recall for Ottawa Senators onesies over a choking hazard. According to the recall notice, the onesies’ metal snaps can detach, potentially choking young fans. Although there has been one report of the snaps detaching in Canada, there have been no reported injuries. The red onesies, which feature the team’s logo on the front and a Canadian Tire logo on the right sleeve, were manufactured in China. Approximately 5,100 were sold in Canada between October and November 2017. No other NHL teams’ onesies have been recalled. 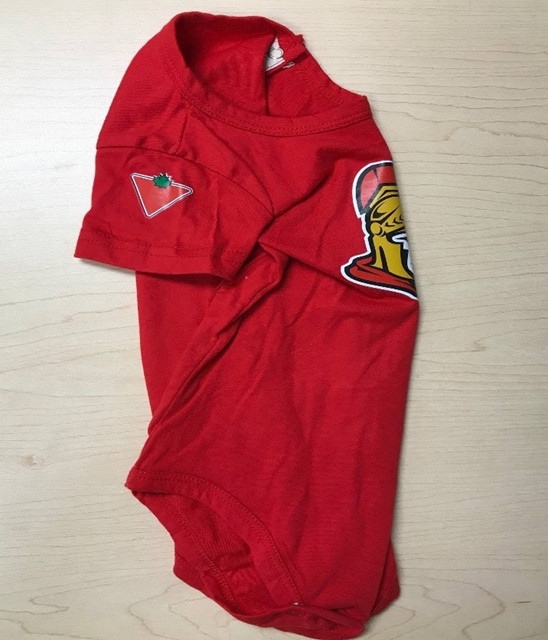 If you possess the affected onesie, Health Canada is urging you to stop using it and return the item by contacting Reward Connections Inc., the Ontario-based company that distributed them, at 905-238-8445 or customerservice@rewardconnections.com. The Senators have just come off one of their worst seasons in franchise history, finishing the regular 2017-2018 NHL season with the second worst record in the league.